Book Depository offers a wide range of products and services at incredibly low prices in Australia. These Book Depository promo codes expire soon, so don’t forget to bookmark this page now. Book Depository free delivery offer: Shop from a wide range of genres including thriller, action and comic books at Book Depository and receive free delivery. New Book Depository discount: Purchase The Vegetarian: A Novel by Han Kang; from Book Depository and get 26% discount with it. New Book Depository discount: Make six beautiful bracelets easily step by step by using Paracord available at Book Depository with 26% off. Latest Book Depository promo code: Buy A Cup of Rage by Raduan Nassar at Book Depository and save 22% on your purchase. Limited time Book Depository coupon: Buy Clean Code: A Handbook of Agile Software Craftsmanship by Robert C. Martin with savings of 22%. Latest Book Depository promo code: Grab this Sunday Times Number One Bestseller; The Shepherd's Life: A Tale of the Lake District and save 15%. Exclusive Book Depository voucher codes: Shop for Australia 500 Piece Jigsaw Puzzle; perfect for anyone to test their skills at just A$24.82. Seasonal Book Depository deal & sale: Get Lessons in Teaching Grammar in Primary Schools book from Book Depository for just A$37.22. Limited time Book Depository coupon: Get New York Times best seller; Sick in the Head book for as low as A$41.53 only at Book Depository. Book Depository is the award-winning specialist online bookstore and one of the biggest names in book e-commerce. Featuring books from some of the most prolific writers at unbeatable prices, Book Depository aims to generate the world’s largest and most diverse collection of book. Boasting over 14 million titles (and quickly growing) on its online catalogue, the Book Depository’s mission statement is to make “All books available to all”. Book Depository’s global mission to make old and new titles available to the world is far from an idle boast. Dispatching orders from headquarters in Gloucester in the UK, Book Depository offers free delivery to over 100 countries, including Australia and New Zealand. There’s no minimum order requirements or clever catches to qualify for free delivery either. Every single order, regardless of size, cost or destination is completely free! Founded by an Amazon employee in 2004, and operating under Amazon after its acquisition in 2011, Book Depository is committed as to work with retailers and publishers to expand its catalogue as widely as possible. Book Depository also works closely with AbeBooks, the world’s largest marketplace for second-hand, rare and out-of-print books, to help customers track down that special book they just can’t find anywhere else. Book Depository features titles in almost every category of fiction and non-fiction, dictionaries and language guides, cookbooks, and even colouring books for children and adults! Pre-ordering services are also available for selected new titles, with the promise that new releases will be shipped as soon as they are available. Book Depository’s featured titles change as new additions are made to their ever-growing catalogue. Keep up to date with the latest, best-selling releases by selecting the Highlights tab for great deals on the most popular reads. Enrich your social and intellectual experience by reading books of your favourite author, listening to music or watching video. Check out our site and grab latest discount coupons from top retailers under books, music & video category. New Highlights are uploaded frequently, and are a fantastic way to discover popular titles. For those with something a little more specific in mind, customers are able to search for books through the Book Depository’s advanced search functions to find the exact title (and edition) they are searching for. These features can bring up a wealth of related titles, even books that are out-of-print. Print-on-demand agreements with publishers mean that even books that haven’t been seen on shelves for years can be ordered and enjoyed today. Multi-Buy Offers: Multi-buy offers apply to selections of books. Multi-buy discounts apply for certain grouped selections of books. Buying in bulk means even greater savings for that series or collection you’ve been meaning to buy. Check the online catalogues for which titles apply. 3 For 2 Deals: The 3 for 2 offer is a special kind of multi-buy deal. As the title suggests, buy three titles and get the lowest priced item absolutely free! The place for incredible discounts on already affordable popular titles, many of these top reads are marked down by 50-60% or more from RRP. Fiction and non-fiction titles by some of the world’s best-selling authors can be found here, and with new titles being added all the time, the Bargain Shop is a must for the avid reader with a few spare shelves to fill! It’s possible to make further savings on the Book Depository website by using voucher codes. Go through your shopping as normal and head down to the checkout page once you are done shopping. On the shopping cart, you’ll see a section that says Apply Code. Enter the specific coupon code and click Apply. Your discount should now be added to your order. To know more about your favourite retailer, social media is the most preferred option. With a little trick you can save big on ordering books from Book Depository. Delivery is always free, no exceptions. Book Depository ships to over 100 countries around the world, and as long as your country is on the list, your eagerly awaited shipment of books will be delivered free of charge! Dispatch times can vary from book to book and an estimated dispatch time can be checked under the ‘add to basket’ button on each item. Once sent, delivery times to Australia are pleasantly fast. There are no long wait times for the next exciting read that Australian customers are so often subjected to! Books dispatched from the UK can be expected to reach Australia within 5-8 business days, while books dispatched from within Australia should take no more than a standard business week. Orders can be cancelled by using the online cancellation form, which must be completed within 30 days of delivery. Orders must be sent back to the Book Depository within 14 days of cancelling the order for a complete refund. Book Depository’s low prices mean that just by being a customer, buyers are rewarded! However, that doesn’t mean the benefits stop there! Members are eligible to enter competitions, such as the colouring bookmark competition celebrating the Book Depository’s new bookmark product line as well as the latest releases in adult colouring books! For bloggers, website owners and social networkers, the Book Depository offers an affiliate program that pays up to 5% on each affiliate transaction. It’s quick, easy and free to sign up, includes money made on pre-orders, and features automatic monthly payment. 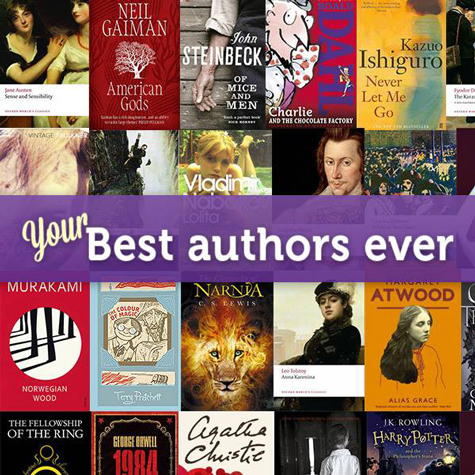 Connect with the Book Depository on Facebook, Twitter, Google+, Pinterest or Instagram for more information about great deals, free competitions, and inspiring quotes and images from the world’s greatest authors!